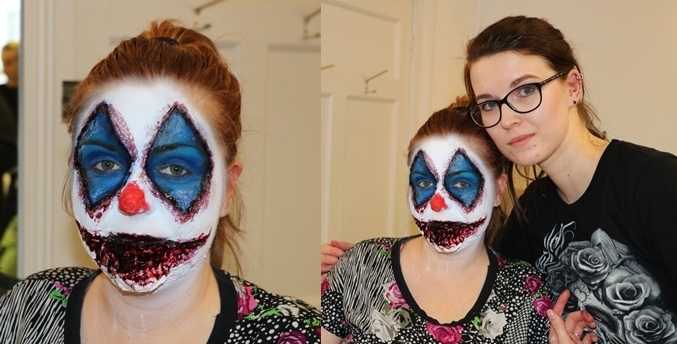 I had a 2 day workshop with Sfx Make-up artist Christian Kotey. 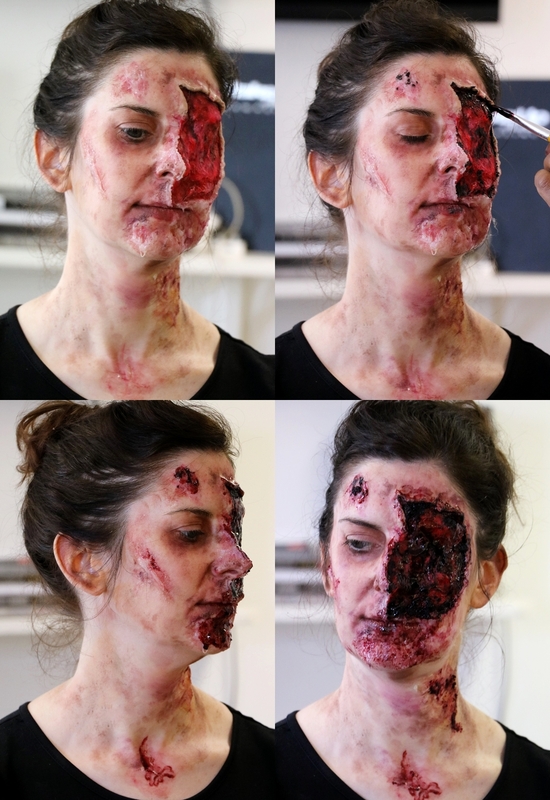 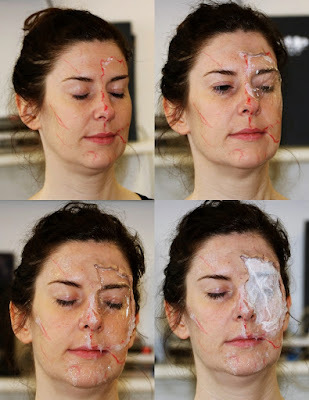 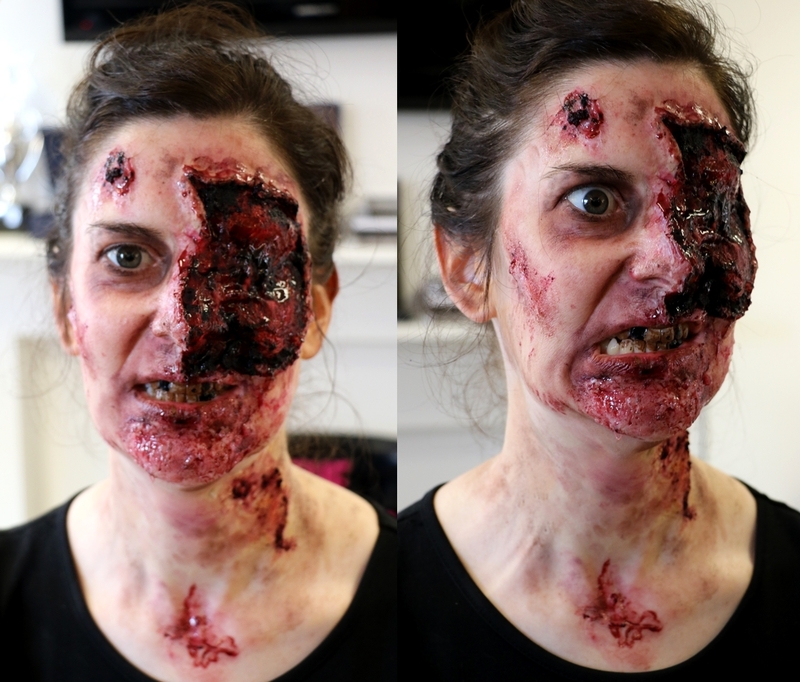 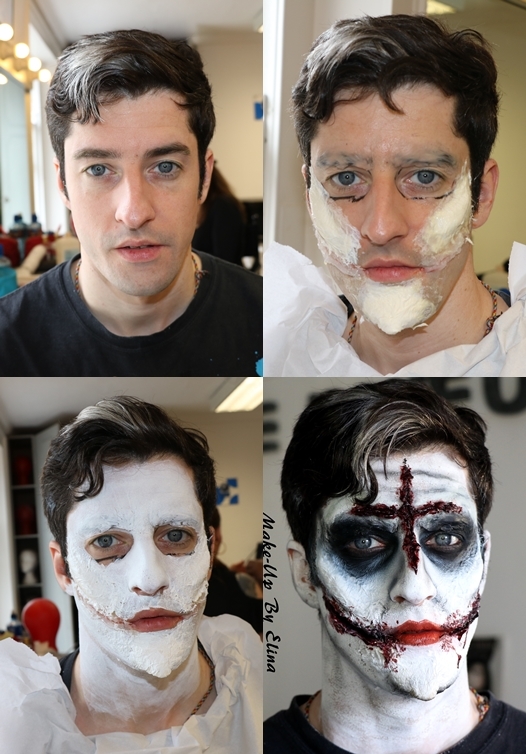 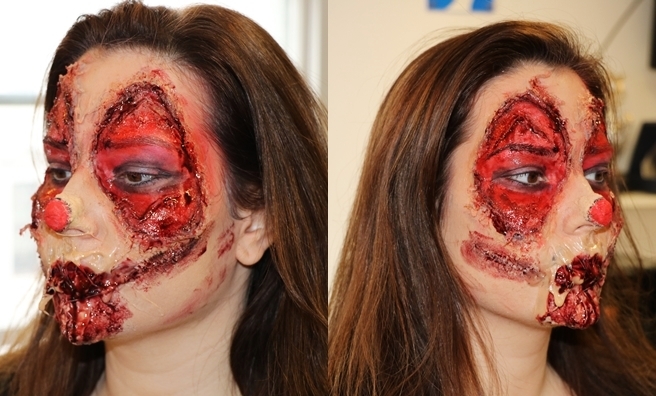 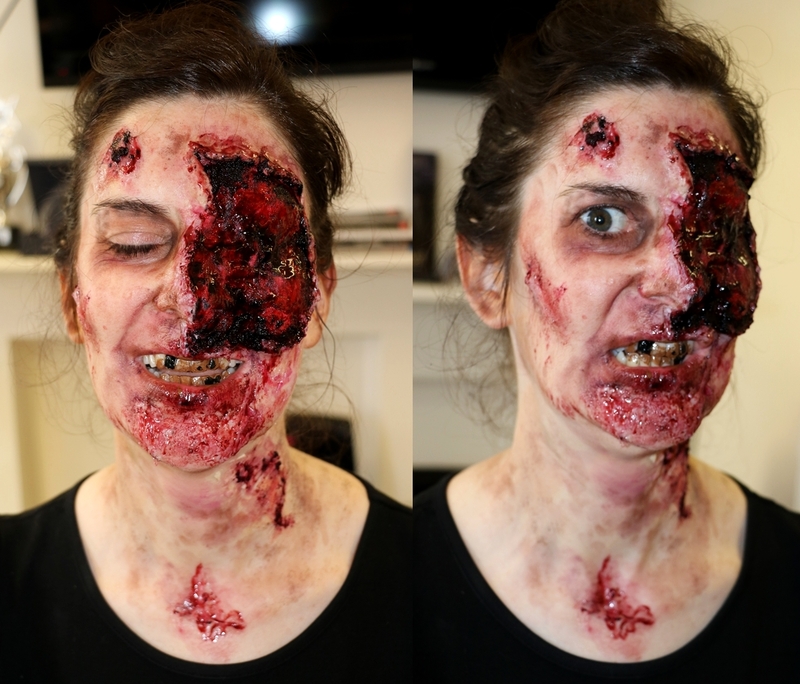 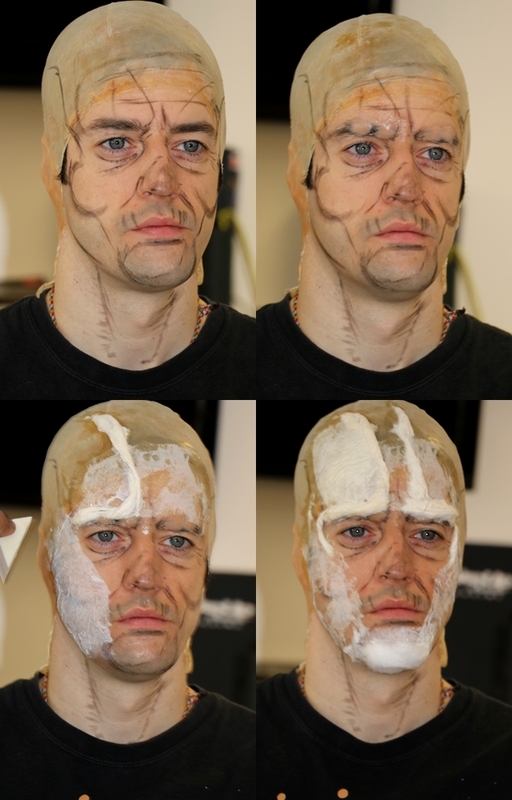 It took place in 38Dame street in The Makeup Crew training academy. On the first day he showed a demo if decayed zombie like look, using various materials like, cling film, latex, tissue, cotton wool,silicone etc. There were just simple things that I did not know, like to cover the eye and make it look like it is gone. 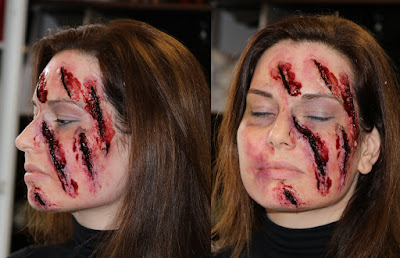 I had the chance to practice how to use silicone which I haven't done before. I learned how to use wax a lot better and things like not to use wax on parts of face that will be moving as it can fall of and just use it on hard surfaces like forehead. 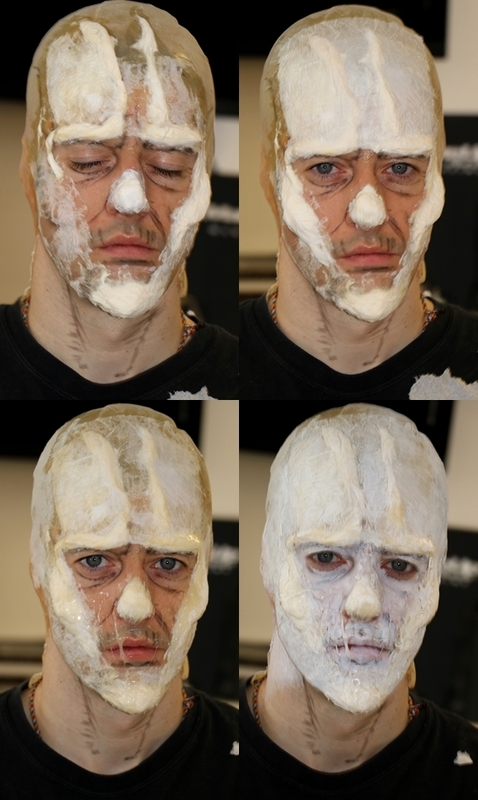 There really is a lot of things to learn. I will add more pictures at the end of the blog. 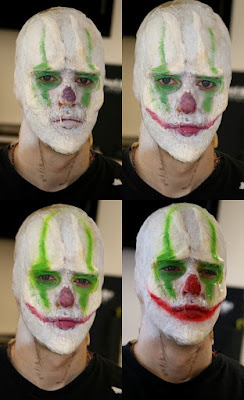 On day 2 he showed a clown demo and how to make your own prosthetic that will last on the face for the whole day. 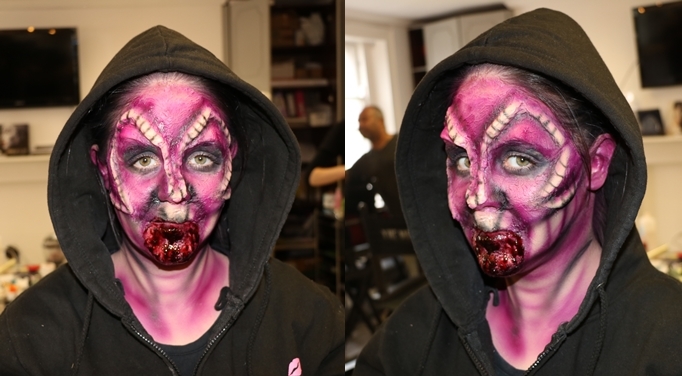 On the 2nd day we also used gelatin and airbrushing which was fun to do. 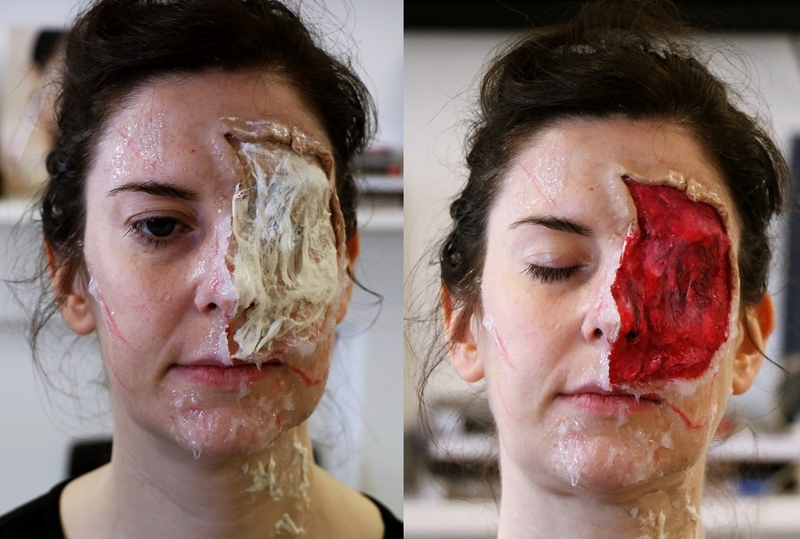 I realized how much work actually goes into sfx and movies it can take ages to build up layers upon layers but it is so worth it at the end. 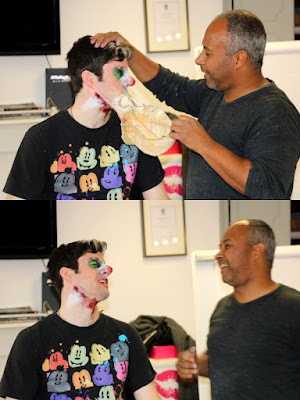 Christian was really easy to get along with, willing to help with anything and answering any questions, atmosphere int he workshop was really relaxed and fun to work as there was no tension and it is one of the things that help a person to develop more skill if there is someone that is so dedicated to what he does and willing to help others. 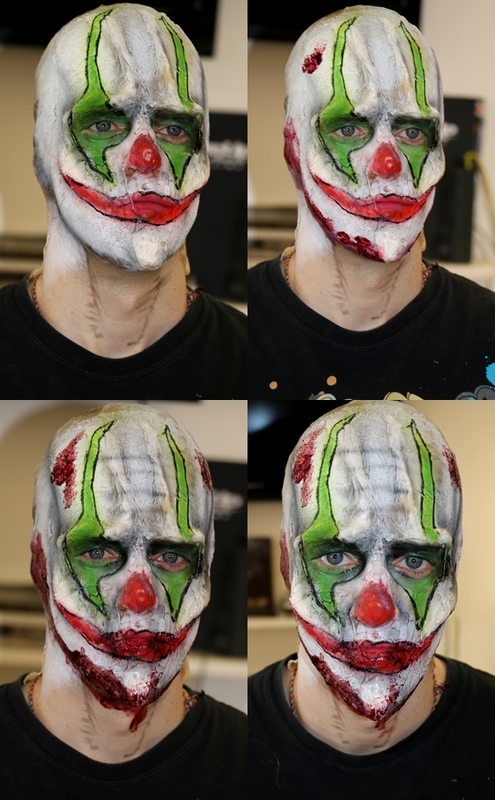 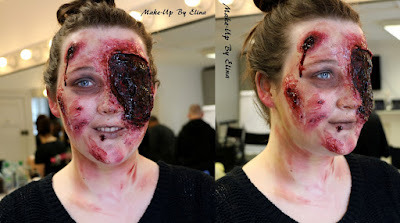 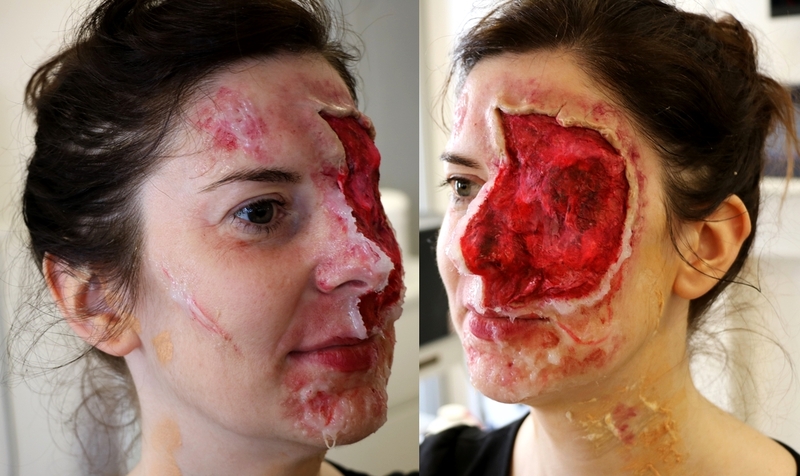 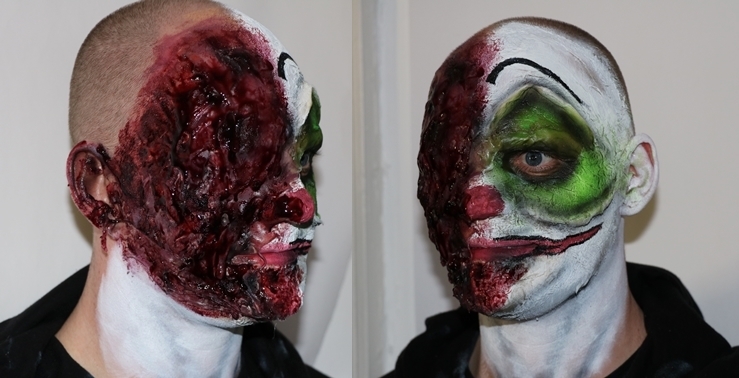 I would highly recommend to go to his workshops, even if you are not into sfx they are still amazing to do and fun, and you will gain new skills. 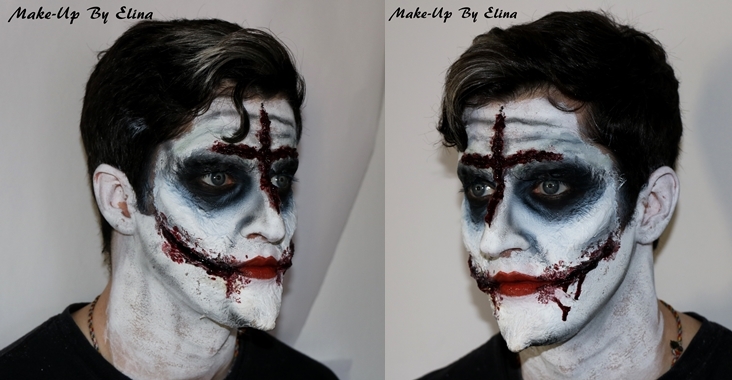 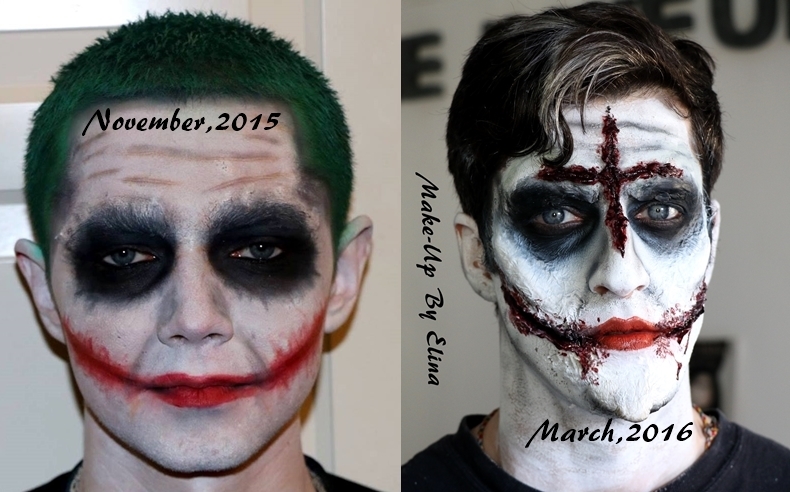 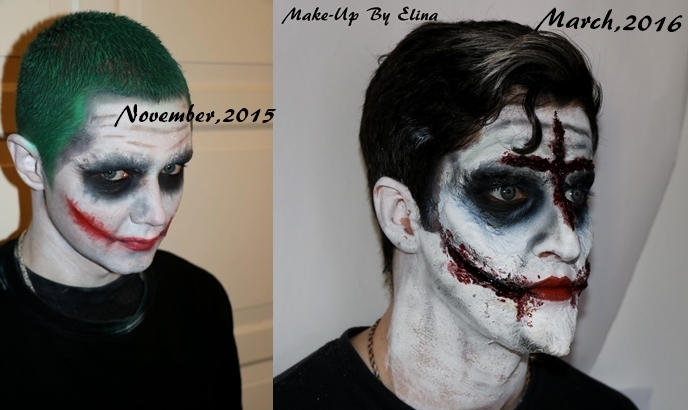 This is just a comparison picture of a joker I did about 4 moths ago to the one I did on the workshop, so as you can see the workshop is while worth it to go and you will 100% gain new skills.